UK Ambush rider Jonny Pickup has spent the last fortnight enjoying slushy laps up at the Vans Penken Park, Mayrhofen. When he’s not enjoying one of Hansi’s topping laden pizzas (actually that’s me) Jonny’s destroying the rail line and throwing all sorts of bizzare trickery into the mix on his Declaration. Oh and Jonny got some pow too, just in case you weren’t feeling jealous enough about his skills on a board. 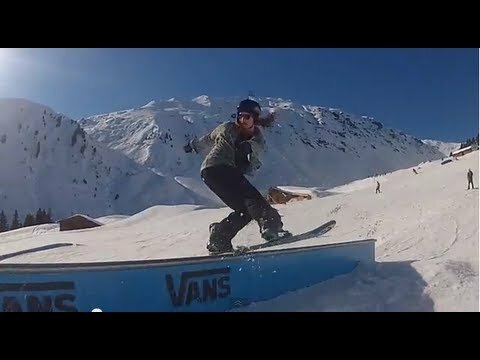 On a side note more snowboard videos should feature Tarantino soundtracks.